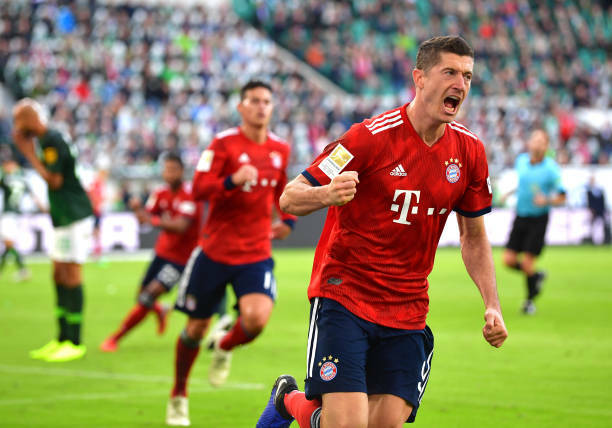 Bayern Munich end their losing run as Robert Lewandowski scored once in each half and assisted a third goal to give the German champions a 3-1 victory over VfL Wolfsburg on Saturday and give them their first win in five games in all competitions. 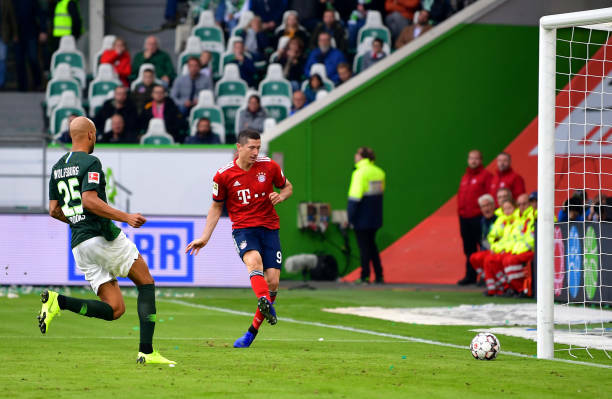 Lewandowski opened the scoring on the half hour and doubled it four minutes after the re-start to give Bayern a much needed boost, a day after club bosses launched a scathing attack on the media while backing coach Niko Kovac and his players despite their poor form. The game looked to be turning for the hosts in the 57th minute when Bayern winger Arjen Robben was sent off after a second booking. It was the Dutchman’s first dismissal in more than seven years. Wolfsbug then tried to cut down situation through Wout Weghorst six minutes later and launched an all-out offensive in search of the equaliser before James Rodriguez stunned the home crowed with a curling shot following a Lewandowski pass.